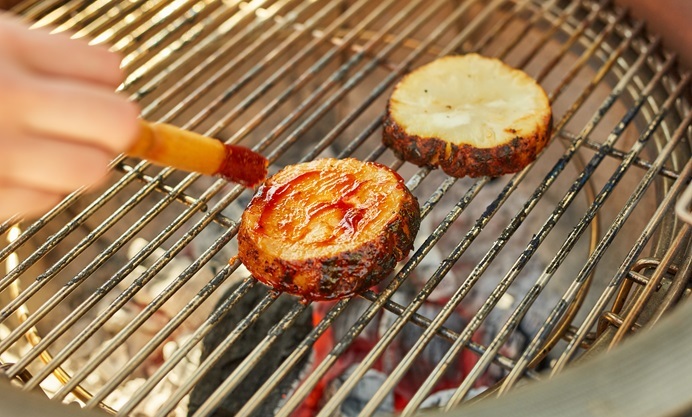 This vegan burger recipe replaces the classic beef patty with a thick disc of barbecued celeriac, glazed in a homemade barbecue sauce until crisp, sweet and sticky. 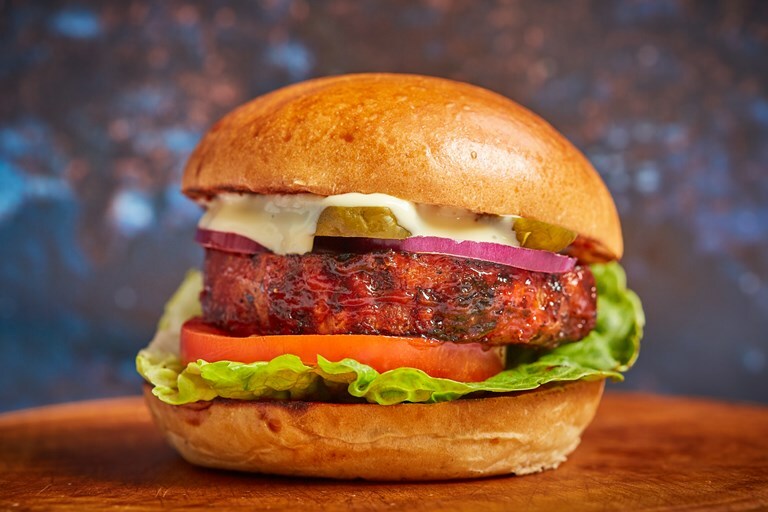 It's far better than any veggie burger you can buy in the shops, and once paired with your favourite vegan condiments and burger fillings, creates a fantastic dish to serve at any barbeuce. The search for a decent vegan burger recipe can be quite an arduous one: crumbly textures, tasteless tofu, same old slimy portobello mushroom. This slow-roasted celeriac is cooked directly on the hot coals, giving it a wonderfully smoky flavour. 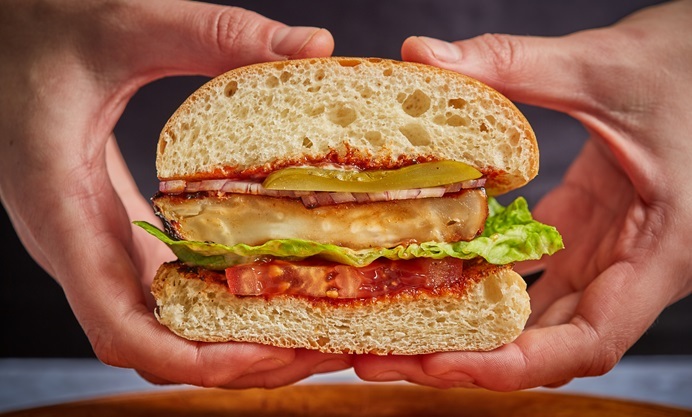 It is then sliced into burgers and glazed with an umami-rich homemade vegan barbecue sauce – the secret ingredient is marmite!